Today, many people are uncertain whether going to college is such a wise decision. Tuition costs have been rising considerably faster than inflation, student debt is mounting, wages for college graduates have been falling, and recent college graduates have been struggling to find good jobs. 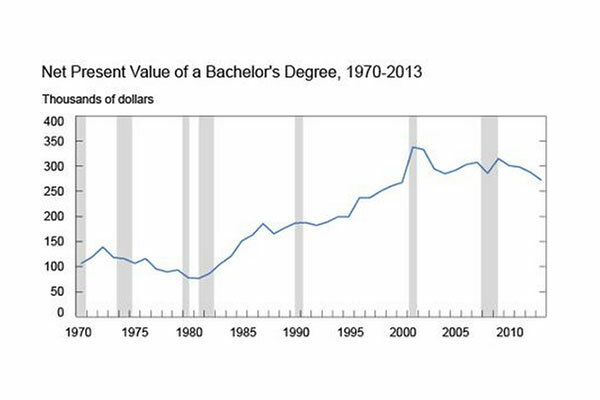 Despite what appears to be a set of alarming trends, the value of a bachelor’s degree for the average graduate has held near its all-time high of about $300,000 for more than a decade according to the Federal Reserve Bank of New York: Liberty Street Economics.